People at the event were photographed proudly wearing their Autonomous Maximus Medal of Valour (hobby clay and gold spray with silk ribbon). The insignia on the medal forms the initials A and M interlinked like three pyramids. 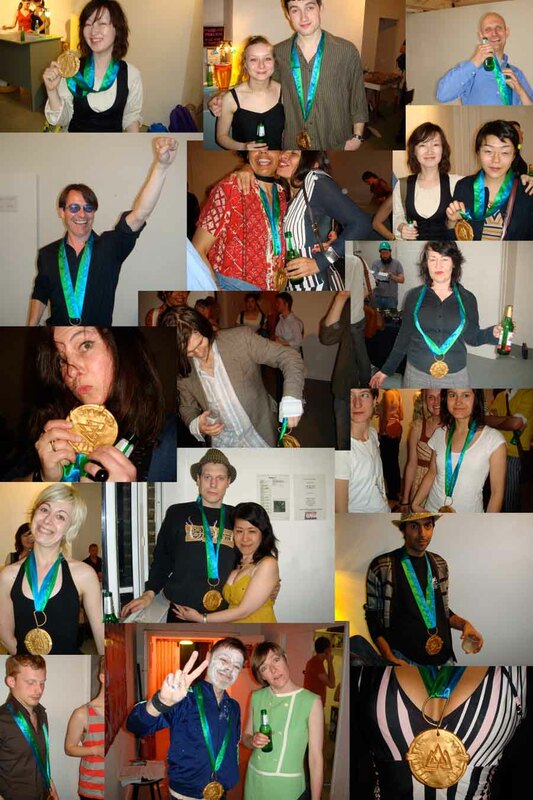 The significance of the medal was explained in a brief intro by me: the medal of valour is awarded to top status artists whose drive and ambition place them at the top of the art pyramid. They are shining beacons of unrivaled personal autonomy. I then played back a slide presentation of the photos I had taken throughout the evening of the people present, accompanied by the sounds of soft rock guitar loops.